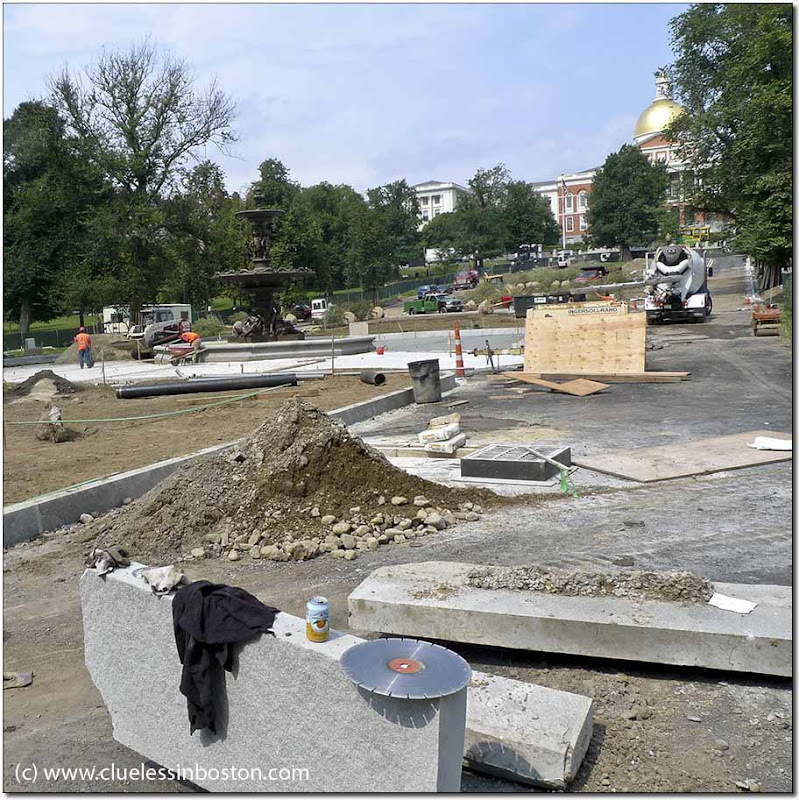 Construction continues on the plaza for the Brewer Fountain. Original plans called for the plaza to be finished in June, three months ago. The fountain itself was renovated in May of last year. do you think they'll have it done before the snow flies? Let's hope they'll complete it by June 2012! I think they'd better start working nights and weekends to finish before the cold blasts of winter pepper the area! I was jolted when I first saw your picture because I wasn't aware that it is going on. But, I am more interested in having it done well than being done fast.